Donor retention is a worsening problem for the American nonprofit sector, according to Jon Biedermann, Vice President of DonorPerfect. In 2011, only half of first-time donors to a charity could be counted on to make a second gift. As bad as that retention rate was, it dropped to 49 percent in 2012. It’s challenging and expensive to acquire first-time donors. Charities must do a better a job of hanging on to those donors. Cost-efficient annual fund campaigns as well as major and planned giving efforts depend on loyal donors. Fortunately, guest blogger Amy Eisenstein, ACFRE offers a simple idea that can help: “The Rule of Seven Thank Yous.” Her rule will help you retain first-time donors, loyal donors, small donors, and major donors — in other words, all donors. Amy is an author, speaker, coach and fundraising consultant who’s dedicated to making nonprofit development simple for you and your board. Her books include 50 A$ks in 50 Weeks and Raising More with Less. 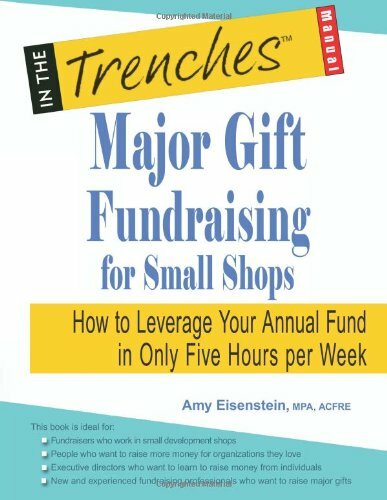 In her current Amazon bestseller, Major Gift Fundraising for Small Shops, Amy takes the complex subject of major gift fundraising and distills it down to its essential elements. The book provides a clear, methodical approach that any organization can follow. Great tips, real-world stories, check lists, sample forms, and more make this a book that you will keep on your desk and refer to often, that is if you want to raise more money than you might have thought possible. 2. They were never told how their first gift was used. Fortunately, the answer to this dilemma is a simple one: donors give because doing so makes them feel good. This includes feeling appreciated for their gift and knowing that their check has fed more children, cleaned the environment, or in whatever way has made a measurable, positive difference to a cause they care about. Your job, no matter how large or small your budget, is to make sure your donors are satisfied on both counts. 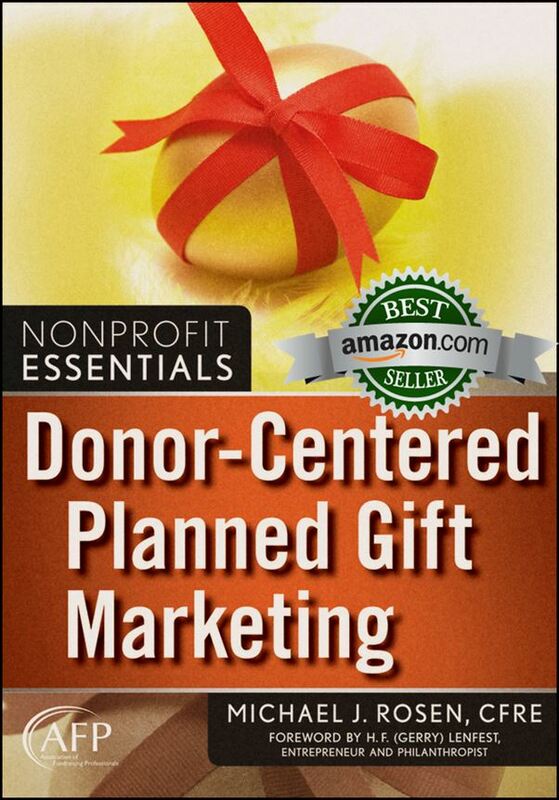 Over the course of working with dozens of nonprofit organizations, I’ve developed a simple process to help you do just that whenever you receive a major gift. 1. Thank the donor at the ask meeting (once they say “yes”). 2. Have a board member call to say thank you after the meeting. 3. Send a tax-receipt thank-you letter within forty-eight hours of receiving the gift. 4. Have the executive director write a thank-you card as a follow-up to the ask meeting. 5. List the donor in your annual report, on your website, and/or in your newsletter (get permission first, of course). 6. If appropriate, list your donor on a donor wall and/or thank the donor publicly at a special event. 7. Follow up six to eight months after the gift was made to let the donor know how you spent or are spending the gift. (While you’re doing this, it doesn’t hurt to add another thank you!) This update can be in person, by phone, and/or by email (depending on the size of the gift). The point of this rule is to ensure that your donors are thanked several times by several people – your goal is to make your major gift donors feel that your entire organization knows about and appreciates their gift. Obviously, the people who attend the initial ask meeting will thank the donor at the conclusion of the meeting. Afterward, though, you can pull in other high-level members of your organization to help with expressions of gratitude. When stewarding smaller donors, the more personalized the better. However, you might not use quite the same process as you would with major donors. While the Rule of 7 Thank Yous is the kind of time-intensive process you’ll want to save for your major gift donors, there are also things you can do to make sure that everyone who makes a gift feels thanked and knows how you’ve spent their money. If yours is a small organization with a tight budget, this can be as easy as sending a different letter to repeat donors than the one you send to first-time givers. And of course, no matter how generic your lower-level stewardship has to be, make sure to let these donors know how you’ve spent their money before you ask them to give again, either by email, mail, or with a phone call. The Rule of 7 Thank Yous for major gift donors, coupled with a solid process for making sure all donors feel appreciated and know how their money has been spent, will strengthen your organization’s bottom line both now and in the future. Implementing these processes will increase the number of people who make repeated gifts to your nonprofit, increase the size of the gifts they give, and build the kind of trust in your work that inspires planned giving in years to come. That’s what Amy Eisenstein and Michael Rosen say… What do you say? Thanks for your posts, Michael – always thought-provoking. I’m wondering regarding this post as to the logistics and ethics of telling a donor how we used their money. Does the template thank-you letter tell everyone that their donation was used for the same thing? Of course, general fund donations aren’t tracked so we don’t actually know how someone’s $50 was spent. It’s definitely appealing to donors to hear that their donation went towards something specific, but if we tell everyone that their donation went to buy, say, a desk, when actually we don’t have thousands of desks, and many donations probably go towards staff salaries or utility bills or other unsexy things – is that ethical? Or should nonprofits speak vaguely, like “your donation went to help the many people helped by our organization” – which is perhaps truer but definitely less inspiring? Thanks for your insight. A hospital I worked with geared their entire annual fund campaign to buy two MRI units so that area residents would not have to drive 55 miles for a scan or otherwise wait weeks for a local scan. In that case, donors could be thanked for their support which allowed the hospital to purchase the MRI units. The American Red Cross raises money for disaster relief and other needs. When the Red Cross makes appeals for disaster relief, they usually phrase it as a request to give to, for example, “Hurricane XYZ relief and other disasters.” In that case, the Red Cross can thank donors for the support of Hurricane XYZ relief and help with other disasters. A university that solicits purely unrestricted annual fund support can still offer some specifics. After all, those funds are used for specific things. So, the university might thank donors in this way: “Thank you for your kind support. The support of our alumni allows us to provide 250 scholarships, attract and retain stellar faculty, conduct cutting-edge research, and so much more.” Obviously, you’d want to make it sounded prettier, but you get the idea. The key is to be as specific as possible while remaining completely truthful. Thanks for the advice, Michael – that’s very helpful. Valerie, I’m always happy to be of help. Aren’t you the one who told me you can thank too much? Just kidding! I fully agree that the key to keeping donors longer is to thank them for their gift and inform them of how it is used. Sincere gratitude and honestly telling them how their generosity has done something important makes the donor feel a part of the organization. Richard, thanks for the comment. You’re right; it’s all about engagement and relationship building. Michael, I couldn’t agree more. For people who think their donors are getting tired of the same-old, same-old thank yous, here are 20 Ways to Thank Your Donors Throughout the Year: http://dennisfischman.com/2014/03/17/20-ways-to-thank-your-donors-throughout-the-year/. Dennis, thank you for commenting and sharing the link to your blog post. You’ve provided some creative ideas for thanking donors. A little creativity can have a massive impact on the donor. As a minor (under $500) donor, I want to say this strategy turns me off. I have discontinued contributing to non-profits if I feel too much of my donation was wasted thanking me for it. My rationale for donating is very simple: I want to help a good cause. One thank you is plenty – now get on with your good work. But I can understand major donors feel differently. After all, their primary reason for charity seems to be getting their name on more buildings than their peers. So yes, you must bend over backwards thanking such people and massaging their egos. But please don’t make the mistake of assuming that the rest of us feel the same way. It could end up costing you more than you realize. Tammy, thank you for your thoughts. When it comes to appealing to and thanking donors, one size does not fit all. 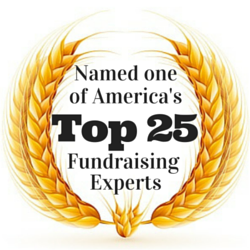 The more we can understand and meet each donor’s expectations, the better. What most donors want, regardless of donor level or generation, is to know that their contribution is making a difference. When reporting back to donors and when appealing to them again, it is a great opportunity to get in another word of gratitude. While most donors will appreciate this, I recognize not all will. I’ll conclude by pointing out that your assessment of why individuals make major gifts could not possibly be more incorrect. For the most part, the wealthy are just as passionate about doing good as you are.